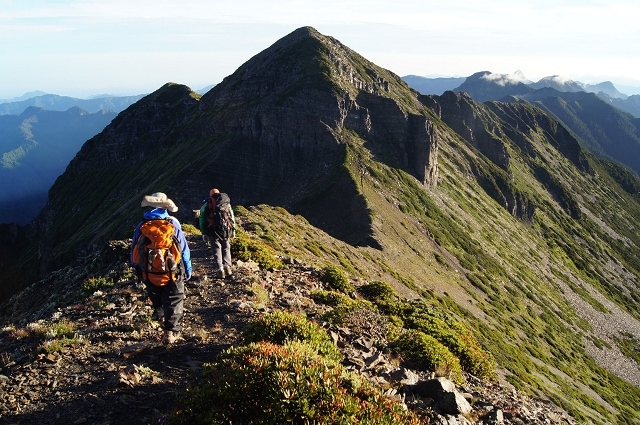 Part of Taiwan’s Central Mountain Range is found within Yushan National Park. It is a huge park, covering 105,490 hectares with more than 30 peaks that are more than 3,000 meters tall. About two-thirds of the park are 2,000 meters high. The park also includes several canyons, valleys and cliffs. The park’s unique landscape makes it clear that the tectonic plates underneath are quite busy. The most visible evidences of seismic and tectonic movements are Scree Slope near the Main Peak, Sault Scarp between the Main Peak and Mount Batongguan, Fuzi Cliff, Guanshan Cliff, and the Great Precipice. Found 1.2 km away from Paiyun Lodge on the Yushan Trail, the Great Precipice features pre-historic marine fossils and water marks on the rocks, suggesting that this area was once part of the ocean. The southern part of the Cross-Island Highway and Yushan Scenic Highway lead to these amazing geological wonders. Due to its unique landscape, Yushan National Park undergoes varying weather conditions, which in turn nourishes a wide array of plants. The park only covers 3% of the country’s total land area yet it is teeming with different plants from half of Taiwan’s total plant species. According to surveys, the park is home to more than 2,500 kinds of plants. Other than plants, you will also see a diversity of animal life. There are 151 different kinds of birds, 50 different mammals, 18 different reptiles, 13 amphibian species, 12 fish species and 780 different insects. Among these animals, the most important ones are the endangered Black Bear, Taiwan macaque, sambar deer, and serows. Yet, almost always, it is the colorful butterflies freely fluttering all over the place that catch the attention of tourists. The park gets plenty of rain, about 140 days in a year. It is most rainy from May to August. July and August are the typhoon months. These may be bad for tourism but definitely favorable for the park’s plants and animals. Average humidity is from 80% to 85%. Finally, what makes Yushan National Park truly special is its regard for the environment. The park has put up protection laws and has worked hard to raising the public’s awareness regarding the importance of Mother Nature and nature conservation. Several public facilities have been put up for the convenience of tourists as they behold the beauty of nature. These include pedestrian rails, foot paths, suspension bridges, tourism centers, training centers, restrooms, and parking lots, as well as sewage treatment plants. More than a million tourists visit Yushan National Park each year despite its remote location.